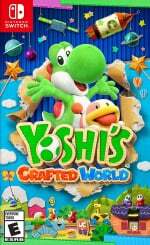 UK chart data is now in for the week ending 6th April, revealing that Yoshi's Crafted World has slipped down to third place after securing a chart-topping debut last week. Yoshi's sales saw a 61% drop this week, allowing The Division 2 and FIFA 19 to claw their way back to the top. The top ten is littered with Switch exclusives, however, with four of this week's best-selling games only being available on Nintendo's console. Did you buy any of these chart-topping games this week? A good week for Nintendo? Let us know down below. @jockmahon It already got DLC during the Wii U era. For all we know, they're probably focusing their efforts on the next new Mario Kart. 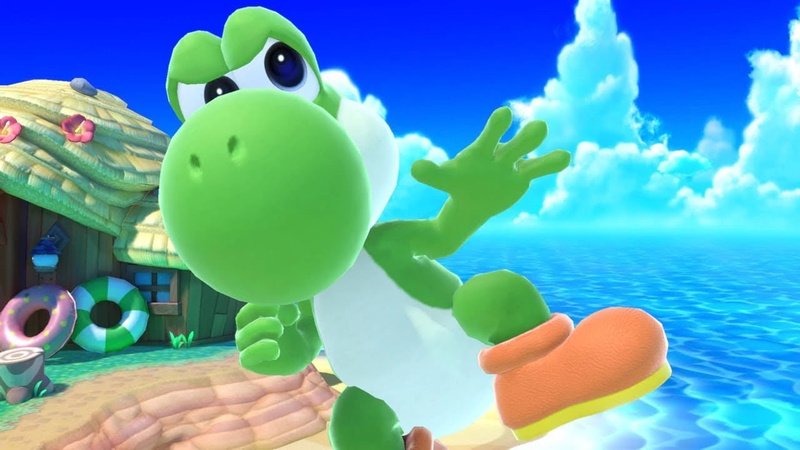 Nintendo has turned Yoshi into a niche game, so I doubt it's gonna sell like other IPs. I'm always in for a new Yoshi game but it seems not everybody is. Is it gonna become a million seller? Great showing for Nintendo games in general. 7 of the first 18 are Nintendo games. Here in the UK the Switch is really doing well, long may it continue!! Considering it’s the UK we’re talking about, I didn’t think a Yoshi game would hold onto the top three, let alone the top ten. I’m impressed. Worth noting that Yoshi was still the best overall selling unit this week. Not too bad for Yoshi's 2nd week. I know this is about Yoshi (and I am liking the game) but I continue to be amazed at the selling power of Mario and Zelda on the top 20 list. They are masterpieces and deserve those sales. Super Dragon Ball Heroes sold ~1,500 copies at launch. Anime isn't that big in the UK (last year's highly acclaimed Dragon Ball Fighterz sold ~15,000 copies at launch - about as much as what Yoshi's Crafted World sold), and this is a card game rather than a fighter, so it's a decent debut. @dugan Amazing continuous sales. Mario Odyssey for me has been my favourite game so far on the Switch with Zelda BOTW a close second. I'm calling for Labo VR to be no1 next week!!!! what’s impressive to me is how many of the top 20 games are on Switch. Because it's had a tonne of DLC allready,they need to be putting their time and effort into Mario Kart 9. I do wonder how Labo VR will do. Preorders for Labo VR absolutely skyrocketed when the Mario Odyssey and Zelda Breath of the Wild compatibility was announced, but prior to that, preorders were virtually nonexistent, so a massive increase from nothing could still be kinda small. Labo VR should have no problem outselling Labo Robot and Vehicle Kits. Whether it will outdo the Variety Kit is the big question. 10 of the top 20 games on Switch - what's not to love? Speaking of yoshi just finished it and I won't ruin anything apart from that final boss is epic!. I look at Smash, MKart and NSMBU up there are get cross every time. I keep thinking "where were you lot when they were out on WiiU! Maybe things could have been different!" @johnvboy @BANJO Definitely a next gen launch title. You can see the new system flying off shelves. Not to mention Smash on Wii U is...like...Diet Ultimate. @TJWorks @johnvboy it wouldn't make any sense on Switch. It will be on the next system guaranteed. I was playing Double Dash this weekend. Going back to DD after 8 doesn't really feel any different. It just has less stuff. If a MK9 came to Switch, how would they differentiate it? @RyanSilberman People didn't exactly have the Switch at the time to compare the WiiU to. They're still the same games. 4 Switch games in the top 10 in the UK is great. Don't forget BOTW, Odyssey and Let's Go still in the top 20 as well. If it did, that would certainly be an impressive achievement as I believe the last Labo kit (Vehicle) didn't actually get into the all formats top 40 (or even the Switch top 20). It will have its work cut out no doubt. MK8 is like 2 years old on Switch- how is it still up there?! @TJWorks @johnvboy I'm assuming Mario Kart Tour is taking development priority right now over Mario Kart 9 or even more DLC for 8 Deluxe, which is probably why we haven't got any updates since the BOTW content and the Labo Vehicle Kit support. So good to see. I remember even the biggest Wii U games would have a good first week, a decent debut, but then you literally wouldn’t see them grace the chart for more than a week or two. Whereas Breath of the Wild, a Switch launch title, is still selling copies week in week out! I adored my Wii U but I’m glad those dark days are over. Good job Nintendo. Really, everyone that makes games at Nintendo needs like a 400% bonus. They basically carrying the Switch single handedly.